G512 is a high performance gaming keyboard, delivering 1 ms report rate and featuring choice of advanced Romer-G Tactile, Romer-G Linear or GX Blue mechanical switch. Full-spectrum RGB combined with LIGHTSYNC technology takes the lighting experience with your games to a whole new level. Aluminum alloy enables a bladelike chassis with a beautiful brushed metal finish. Choose from three distinct mechanical switches: Romer-G Tactile, Romer-G Linear, and GX Blue. Romer-G Tactile is the original profile providing a discernible actuation point you can feel. Romer-G Linear features a smooth and near-silent keystroke. Both Romer-G profiles feature 1.5mm actuation distance making them 25% faster than standard switches. 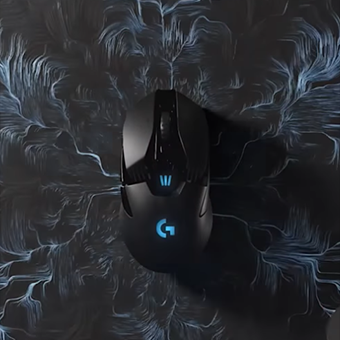 GX Blue is an iconic design providing both tactile and clicky feedback with snappy actuation you can feel and hear. All switches are tested and rated for a 70 million click lifespan to be reliable and durable. Requires LGS 8.98 or higher for advanced settings. Images shown are of G512 CARBON.